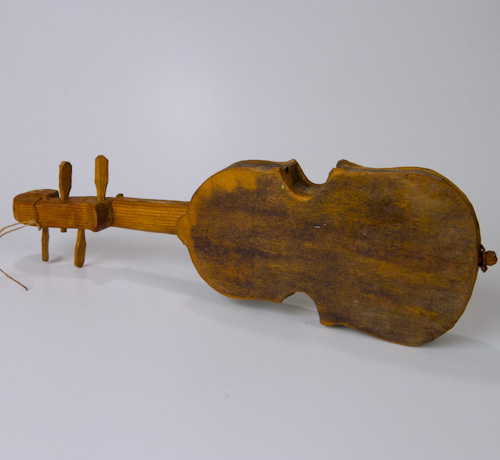 We discovered this sensitively made miniature violin at an antique “mall” east of Huntington, West Virginia in the middle 1980s. 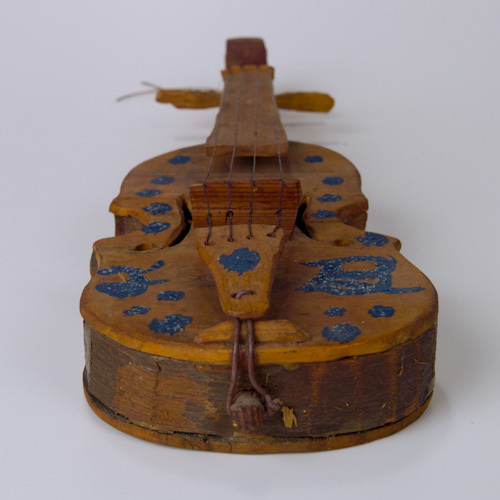 It was documented as being made by Joe Byrnside in Boone County, West Virginia, circa 1940s. 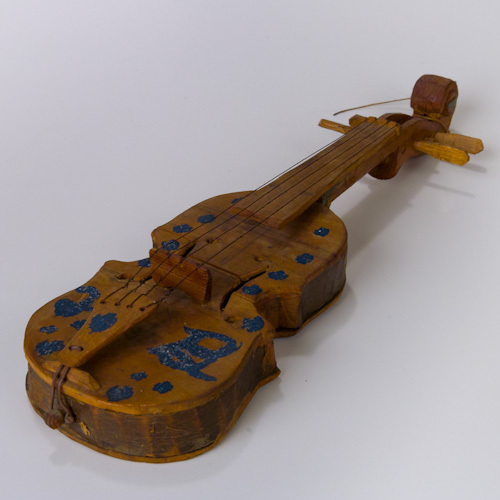 It is made of bent and carved wood, with decorative paint illustrating the maker’s signature J and B. The delicate metal “strings” are attached to the tail piece traveling over the bridge, up the neck and tightened over the tuning pegs. It also has F holes and a lovely scroll on which a short piece of old string, perhaps for hanging, is attached. 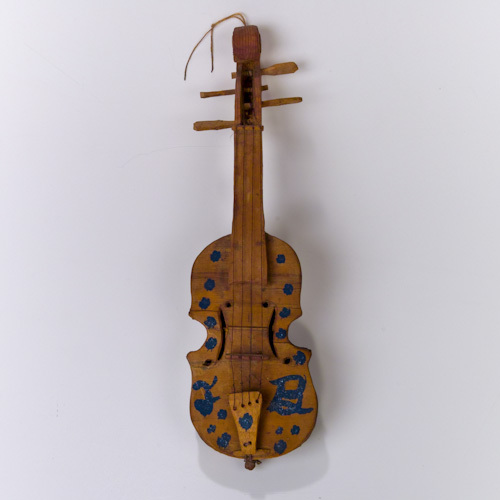 The skill set shown indicates a true understanding of both the musical instrument as well as its construction. It is in excellent condition, all original to the maker’s vision and hand.